Far from being an incubator for future reforms that might be tried on the mainland, Hong Kong is becoming a frozen mausoleum. On Sunday, Beijing officially reached a decision on the options for future elections of a chief executive in the Hong Kong Special Administrative Region. The announcement only confirmed what had already been powerfully prefigured in the white paper issued by the Chinese State Council earlier in the year: we, the government of the People’s Republic of China, are in charge — you either take what we offer or you stick with what you already have. It is an unappealing choice. After a series of “consultations” and online petitions held since late last year, the end result is a spectacular failure of imagination, if nothing else. 1,200 unelected people will sift through nominations and select two or three candidates who will then go forward for elections. That is hardly universal suffrage. The risk-averse leadership in Beijing looked at the option of having a genuine democracy in their sovereign territory, looked at the Occupy Central Movement, looked at messy democratic transitions happening in the rest of the world, and balked. In doing so, Beijing passed up a moment rich in symbolic promise and importance. Far from being an incubator for future reforms that might be tried on the mainland, Hong Kong is becoming a frozen mausoleum. Engaged bystanders cannot but lament this. The reddest faces at the moment need to be in the United Kingdom. The decision made on August 31 in effect buries for good the flimsy deal reached by the British and Chinese in the 1980s. At that time, people like the late Sir Percy Cradock solemnly pronounced that they were setting in place an arrangement that would preserve the freedoms and privileges of Hongkongers after the British cleared off in July 1997. The U.K. was evidently doing no such thing. The warranty on their much-lauded handover deal turned out to have a shorter shelf life than the average kitchenware. 17 years after it was implemented, the agreement is an empty piece of paper, best represented by the dazzling futility of the London announcement that they would study China’s decision on Hong Kong’s future. The Americans were able to do something a little more meaningful and express dismay. Given London’s silence, there is little reason to continue producing six monthly reports and all the other paraphernalia that was set up to pretend the U.K. would have any meaningful role in Hong Kong after 1997. Hongkongers have a stark choice. They can vote in 2017 under the proposed deal, but only for candidates already chosen for them. Or Hong Kong can stick with the same system they have now. There is no third option. Pragmatists will say they should go for the former; cynics prefer the latter because both in the end boil down to the same result. 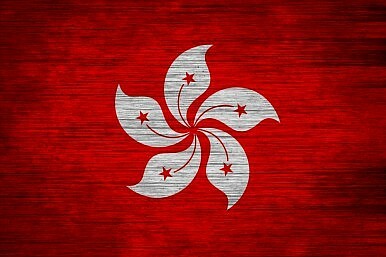 Despite this, Hong Kong should probably go for change, if only because it might lead later to more change. Adopting reform now sets in place a principle of adaptation and incremental reform. Hongkongers can then work on pressuring, berating, and lobbying Beijing for other changes. Their greatest leverage lies in the things the British left them with – a remarkable economy and a global financial hub. These are the things that Beijing most cares about and doesn’t want to jeopardize. In the meantime, democrats in Hong Kong can only reflect on what they must have always known: the path to what they most desire was never going to be easy. A year was never going to be enough to resolve these issues. Their struggle will continue. And because of its meaning for them, and for the future of the country they are now a part of, they shouldn’t give up. Despite the lily-livered response of the British government, people around the world who care about Hong Kong shouldn’t give up either. The Diplomat's Tyler Roney reports from the ground in Hong Kong.